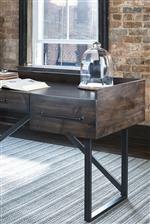 Industrial and rustic style brings an updated look to this desk. 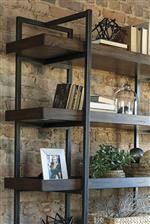 Constructed of acacia veneer and hardwood solids, it features an oiled walnut finish to show off the beauty of the wood grain. 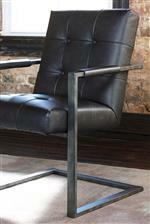 The steel tubular base in a blackened gun metal finish complements the oversize industrial style drawer hardware. Additionally, the raised edge along the desk's top helps keeps items from falling off the desk. A spacious shelf built into the back of the desk offers additional storage and display space when the desk is used at the center of a room. 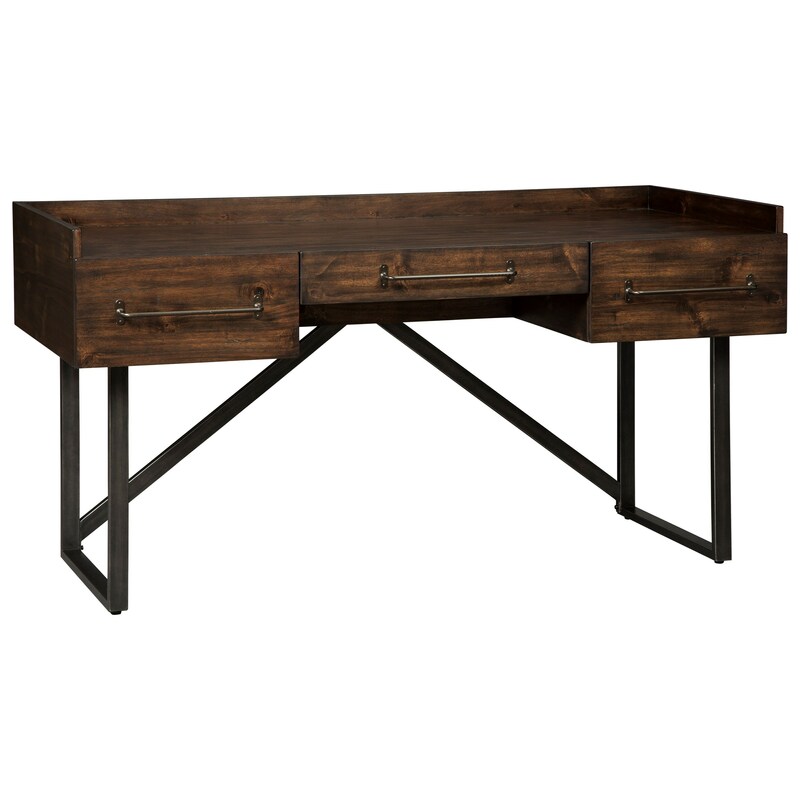 The Starmore Modern Rustic/Industrial Home Office Desk with Steel Base by Signature Design by Ashley at Prime Brothers Furniture in the Bay City, Saginaw, Midland, Michigan area. Product availability may vary. Contact us for the most current availability on this product. The Starmore collection is a great option if you are looking for furniture in the Bay City, Saginaw, Midland, Michigan area. Browse other items in the Starmore collection from Prime Brothers Furniture in the Bay City, Saginaw, Midland, Michigan area.